F. Scott Fitzgerald insisted that, ‘life starts all over again when it gets crisp in the fall,’ and we can’t think of a better excuse to retreat from the fray than a log-fired and woolly-jumpered period of rejuvenation. To help you escape it all, we’ve picked 10 of our favourite autumnal getaways, perfect for dropping off-grid for a brief burst of hedonistic hibernation. If you want to see the leafy autumn chorus in all its glory, you’ll have to get rural. 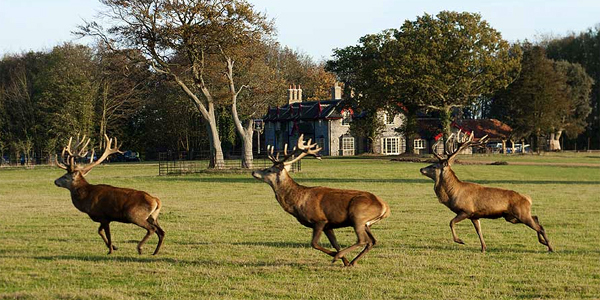 This Norfolk pub with rooms is not only suitably secluded, but it also sits beside a glorious 1,000-acre deer park. 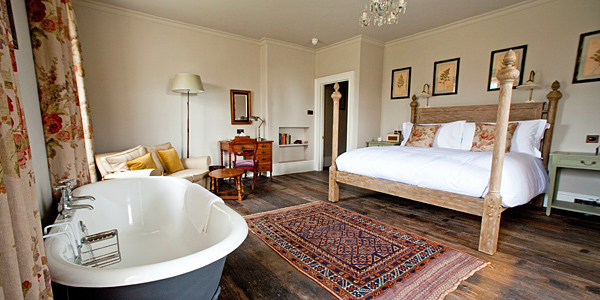 Inside, the rooms are everything you could want from a cossetting autumn stay: heritage coloured walls with battered leather armchairs, open fires and some impressive art adorning the walls (from Damien Hirst to Gilbert & George). The food is excellent, too – just the thing after a bracing country walk. 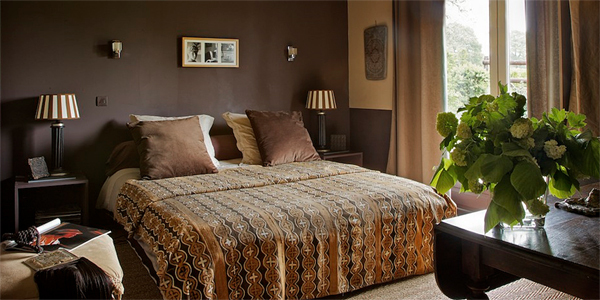 This self-catering gite is a chic and cosy pad for enjoying the slow life. 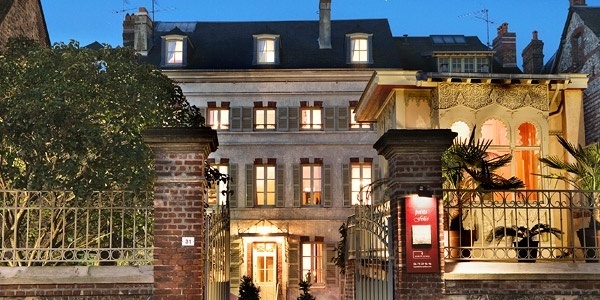 Normandy is a perfect end of year destination for the gastronomically inclined, particularly as the apple harvest – which provides the raw ingredients for Normandy’s famous Calvados – is in full swing. You can also enjoy delicious local scallops, all from the comfort of this romantic barn conversion. 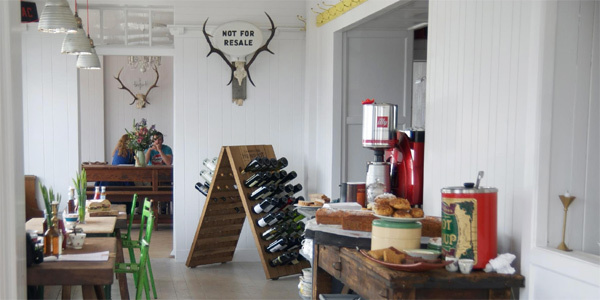 It may be very different from the hideaway luxury of sister hotel Monachyle Mhor, but this roadside incarnation of the Mhor brand still has bags of eclectic charm and a warm welcome. The location couldn’t be better either; being in the heart of Loch Lomond and the Trossachs National Park gives the motel excellent access to hiking, cycling and fishing. However, if all that sounds too demanding, you can always huddle round the woodburners in the bar sampling local whiskies or cask ales with the locals. If you don’t feel like heading to the countryside, cities have plenty of festive activities to help you make the most of the year’s turn. 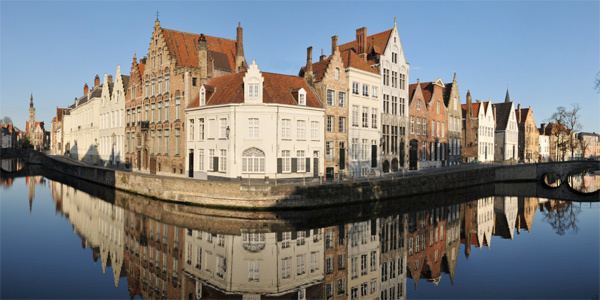 Bruges is no exception and if you get bored of boat tours and sampling chocolate, you can also take a trip to the sprawling Christmas markets (from mid-November). That’s if you feel like leaving your spacious room in this cosy 14th-century home-from-home with views of Bruges’ famous bell tower. When it comes to autumn scenes, few top the wildness of boar- and deer-filled woodland in the Tuscan hills. Set over a 500-hectare organic estate, these converted farmhouses offer utter pastoral bliss for couples or families. 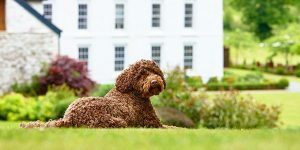 Autumn is also the time to hunt for prized white truffles against the copper and toffee backdrop of the changing leaves. 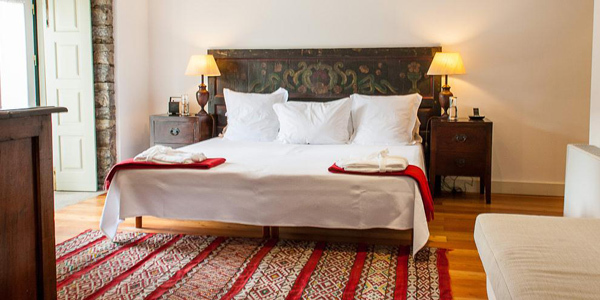 However, if you’re more inclined to curl up with a book and bottle of Chianti you can always take advantage of the large open fires and comfortable rooms instead. Near the beautiful historic city of Bath, this recent addition to The Pig collective is more in line with a silk purse than the aforementioned’s ear. The hotel and its spoiling, locally-sourced restaurant is surrounded by a 30-acre deer park and rolling hills, offering the perfect stomping ground for a crisp autumn walk. It’s the quintessential rural English getaway with wellies by the door and fires crackling in the lounges. Northern Portugal is fantastic at any time of year, but as summer segways into autumn the vineyards and mountains of the Douro Valley really come into their own. The views from this striking hotel are fantastic, conveniently allowing you to soak up the area’s pastoral beauty without straying far from the threshold. However, we’d urge you to get out and borrow some bicycles, or take a tour of the fascinating architect-designed winery, too. Romantic, steeped in history and full of fantastic markets, Prague is another easy-reach city stay for an end of year jaunt. 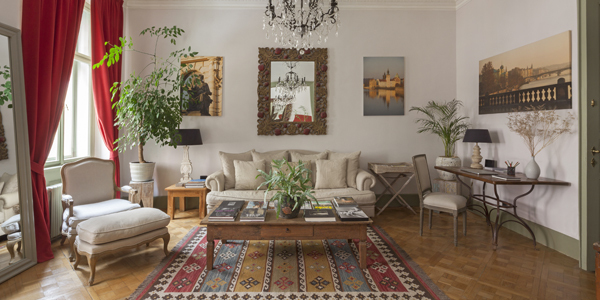 This boutique apartment is beautifully arranged with traditional furnishings (baroque mirrors, glass chandeliers) that reflect the authentic and utterly charming district it’s located in. We suggest getting lost in the ornate cobbled streets or becoming equally enrapt in a concert of classical music at one of the city’s many ornate churches or halls. This stunning auberge (with B&B and self-catering options) comes into its own as a long weekend autumn retreat. This is owed to it being a manageable hop, skip and jump across the channel, but also thanks to the popular tourist town of Honfleur being considerably quieter during the shoulder seasons. 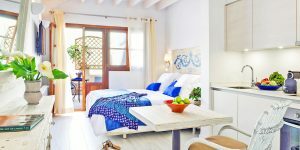 The B&B itself is bright and beautifully designed with spacious, romantic rooms, and it’s within walking distance of various incredible Michelin-starred restaurants.